You make it. We Simulate it. VERICUT verification makes detecting program mistakes and verifying part accuracy easy! 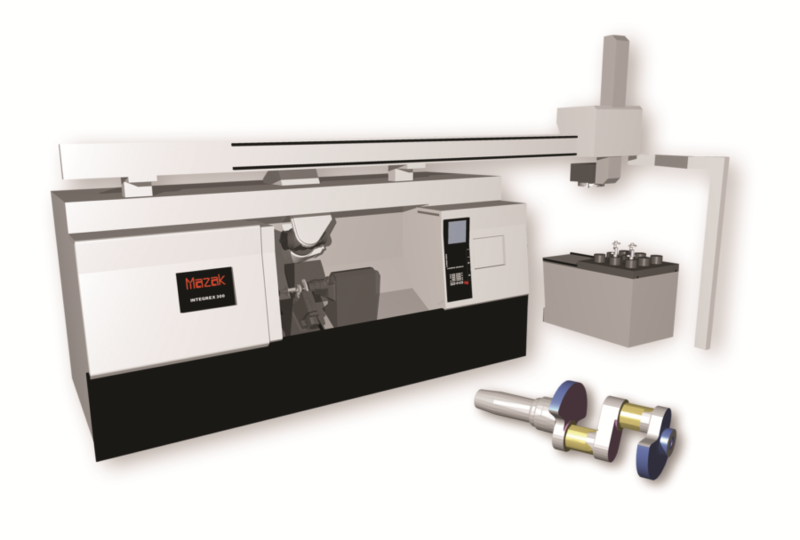 Base Verification verifies 3-axis milling and 2-axis turning (including multiple setup positions). The Multi-Axis module is required to detect collisions between the tool, stock and fixture for rotary 4 & 5-axis positioning/indexing motion. 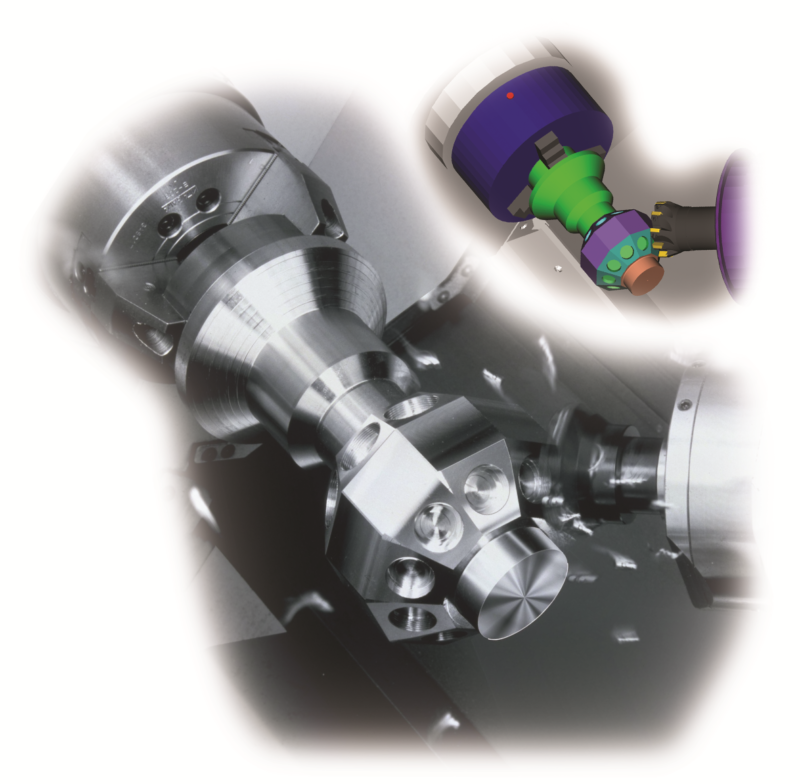 Add Multi-Axis to detect collisions during positioning and to remove material during continuous four and five axis milling, drilling, turning, and combination mill/turn operations. With more than two decades of development, VERICUT’s error-detection is extremely accurate. Errors are shown in the color of your choice – simply click on an error to see which tool path record is responsible. All errors are recorded in a results file. You can run simulations in batch mode and set VERICUT to record snapshots of all errors. VERICUT accurately emulates CNC control logic. Each control in your shop can be accurately simulated to account for different types of machines, programs, parts, and functions. No special programming language is required to simulate most CNC controls. Today’s NC machine tools process complex NC programs. VERICUT was designed by NC programmers and professionals in NC simulation and verification software. Because of this understanding and expertise, VERICUT is an excellent tool when using multi-axis machines, complex NC code, and/or advanced programming techniques. You also get the flexibility to customize controls. Using pull down dialog boxes, G-code characters and numerals are defined in a logical “word/address” format, then configured to call CGTech action macros which simulate control functions. The control logic also supports conditional checks (other codes in the block, current variable values, machine states, etc.) that can alter how the word/address is interpreted. 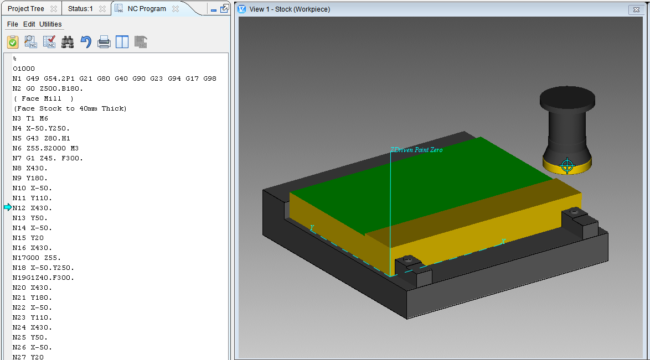 The Verification module enables you to view and analyze the geometry of the cut part. You can zoom, reverse, and rotate the model. Models can be cross-sectioned multiple times at any orientation, so you can check areas that would be impossible to see in a solid model (such as the intersection of drilled holes). The X-Caliper™ tool measures thickness, volume, depth, gaps, distances, angles, hole diameters, corner radii, scallop height, and edges. Delta X, Y, Z component distance measurements are included. VERICUT features an accelerated verification mode called FastMill. Using FastMill, you can quickly verify long tool paths. Mold and die builders, this feature is for you! You can define stock models in VERICUT or import them from a CAD system. VERICUT supports multiple, independently moving stock models for multiple or staged setups. VERICUT simulates multiple simultaneous cutters. You can set up holders as “non-cutting” portions of the tool to check for collisions. VERICUT supports concave bottom, or non-center cutting end mills, such as carbide insert end mills, so you can take full advantage of your equipment without fear of destroying the workpiece or cutting tool because of an incorrect ramp motion. The Verification module is also a powerful reverse post- processor. By translating NC programs to APT or other NC data formats, it saves valuable machine tool and programmer time and makes it possible to recycle obsolete or incompatible NC programs.